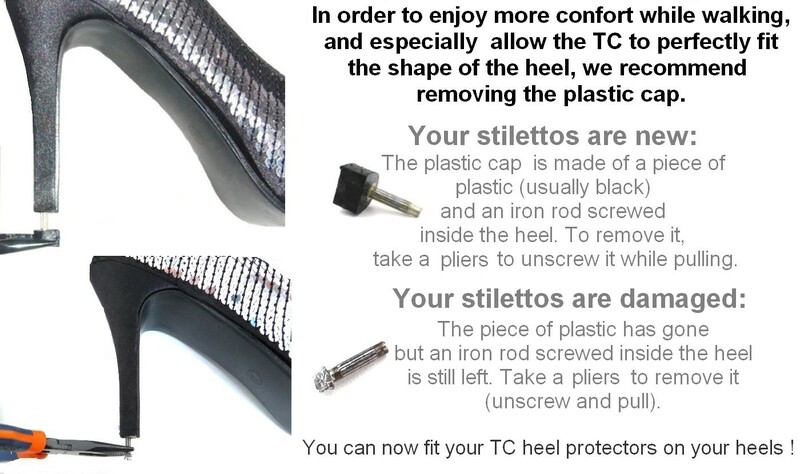 TC for Shoes (take care for Shoes) are revolutionary heel tips. 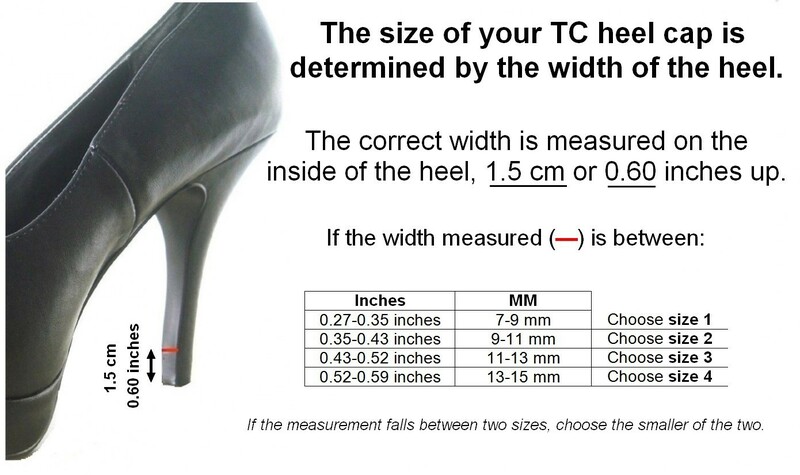 How to use TC for Shoes ? It is the most difficult part to do . The best advice is to take a full pack, size 1-2-3-4, so you can be sure of having the right size. Once known, you can then order the sizes needed.